Calling all teachers, parents and education enthusiasts! 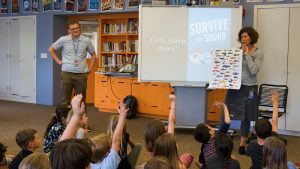 We need your support to bring free, interactive salmon education to classrooms around the Pacific Northwest. Share this page with educators (lltk.org/survivethesoundclassroom) and they can use this form to enroll for a complimentary $25 gift certificate to Survive the Sound 2018. Last spring, LLTK piloted an interactive web challenge that uses actual data from tagged, migrating steelhead smolts and replays it as a race for survival where participants pick their favorite fish avatar, see if it survives, and learn about salmon and steelhead recovery. With this rare look at the latest science and research, participants get unique insight into salmon recovery, while having fun rooting for their favorite steelhead’s survival. The 2017 campaign was a huge success! There were over 1,100 sponsorships and participants reported that they are more likely to take action to help recover these icon species. Families, friends, and coworker all had fun competing, but the most exciting part was hearing about the parents and teachers who brought Survive the Sound to their children’s classrooms. See the results from the 2017 migration here. 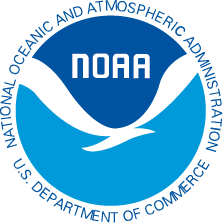 In 2018, we’re improving and growing the campaign while partnering with NOAA to provide a free Survive the Sound experience and toolkit to classrooms! We have high hopes for the toolkit – integrated STEM learning opportunities, interactive online sessions with real scientists, and opportunities for students to help recover salmon! But, we’ll need your help to make this a reality. Share the enrollment link with educators and donate to make this important work possible. The toolkit will be made available when the new Survive the Sound site is live in early March. The migration is May 7-18. With your help, we're going to a big splash in classrooms! Receive quarterly updates and event invitations.